For those unfamiliar, books are a collection of words that form some sort of coherent narrative, printed on paper and bound together. These objects are very much alive and well, according to a new study by the Pew Research Center, despite the fact that we live in an age where you can download the same information onto various pieces of technology. Wild. 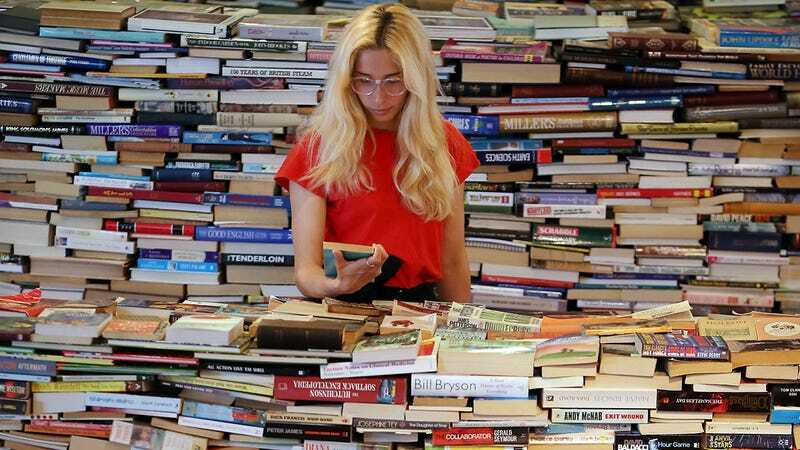 Pew’s most recent study found “the share of Americans who have read a book in the last 12 months (73%) has remained largely unchanged since 2012,” when 74% of Americans had read a book in the past year. Amongst the people who said they read in 2016—Pew surveyed 1,520 Americans over the phone—65% had read a print book. Only 28% had read an ebook and 14% had listened to an audiobook. In 2012, the same percentage of people had read a print book, and 23% had read an ebook and 13% had listened to an audiobook. Not a significant change. The study also found that only 6% of Americans exclusively read digital books. This means e-reader and tablet manufacturers have a long way to go if they want to convert more people over from print. As great as both tablets and e-readers can be, it’s good that people still prefer print. Staring at screens—as enticingly beautiful as they are—isn’t great for your eyes (although it won’t permanently damage your vision). Plus, books are nice and cool and feel good to hold in your hands. The bad news is you can’t blame your lack of book deal on the fact that nobody buys ‘em anymore. Sorry babe.